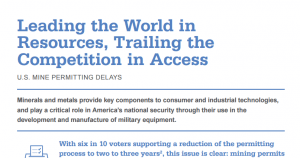 While few countries can rival the U.S. when it comes to an abundance of mineral resources, we remain subjected to a third-world permitting system that discourages investment and the downstream industries, related jobs, innovation and technology that depend on a secure and reliable mineral supply chain. 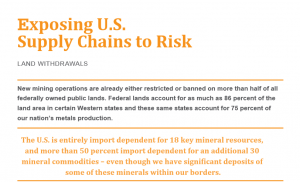 Our dependence on mineral imports has doubled over the past 20 years. 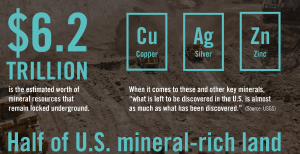 Today, less than half of the mineral needs of U.S. manufacturing are met from domestically mined minerals. 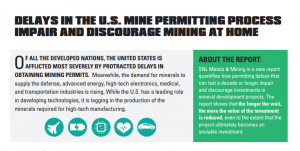 Long permitting delays drive minerals exploration investments to other counties. 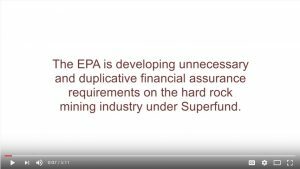 Legislation designed to more efficiently develop our domestic supply of minerals and streamline the permitting process, the “National Strategic and Critical Minerals Production Act of 2015” (H.R. 1937), passed in October 2015 – the fifth time in three Congresses. 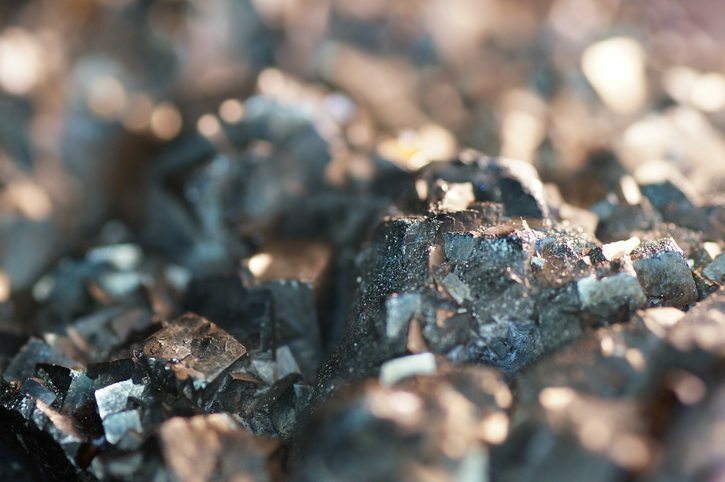 In addition, the Senate in April passed S. 2012, “the Energy Policy Modernization Act of 2015,” which contains similar minerals provisions that would improve access to domestic minerals. The House and Senate are now conferencing two energy bills that contain language to modernize the U.S. mine permitting process.